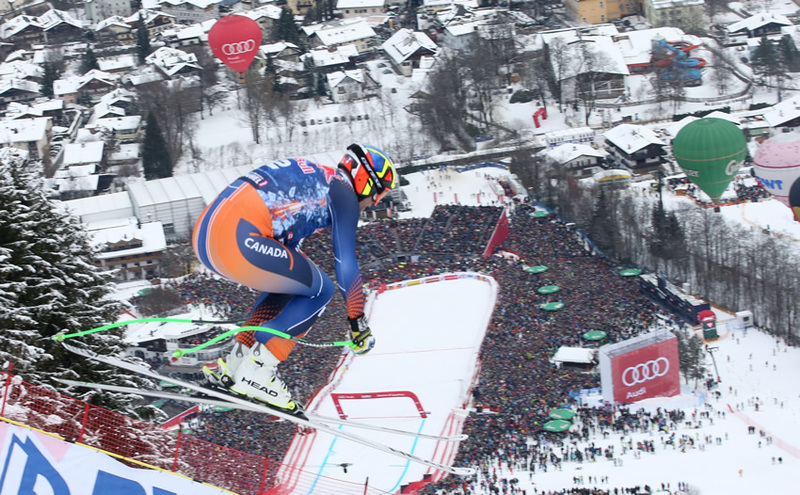 All details have been fully considered to take the Qwixskinz name from the World Cup circuit to the ski club slopes. The Qwixskinz Ski Club DownHill (DH) Race suit provides the high quality race suit option missing for the ski club world. 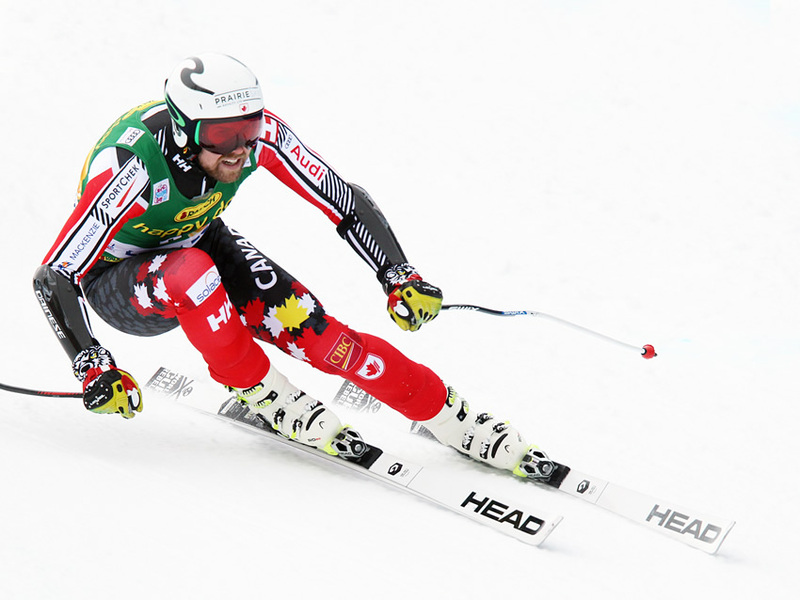 We took our best race suit & fabric details & put them into our ski club DH race suit. The industry expected 3 layer fabric system has been modified & improved using AirTek technology to culminate in a superior fabric line exclusive to Qwixskinz. Our fabrics not only provide the distinct characteristics for each discipline & level but also a superior abrasion resistant top layer that retains vibrant prints longer and provides protection against piling, a targeted problem we sought to solve. Articulated pattern development, using our new 3D patterning technology provides the best fit for the racing position with gripper elastic keeping the suit leg tight to the boot. Durable YYK zipper & fabric zipper flap provide long lasting zipper life as well as all-important wind protection. Integrated ski pass pocket in the chest allows for quick & easy lift access. 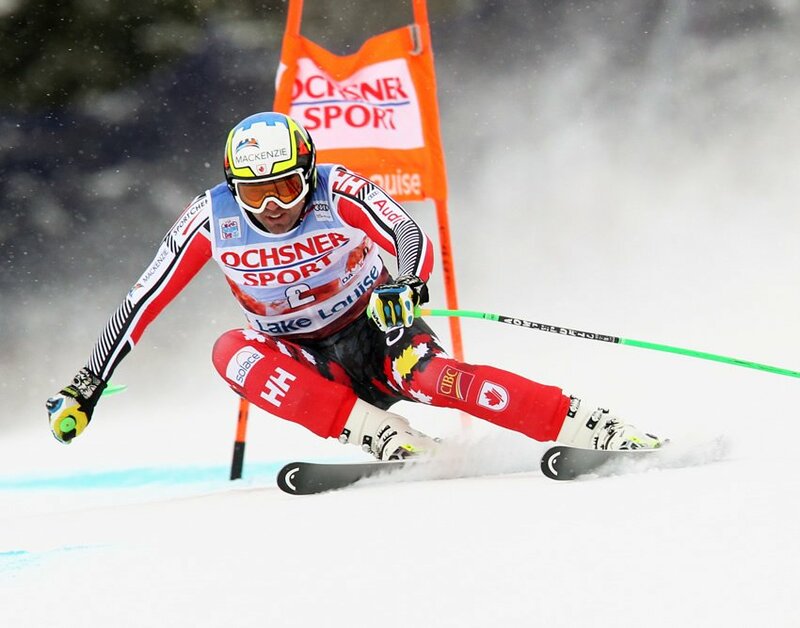 Our FIS-Approved DH Race Suit will have the look & performance rivaling the World Cup race suits produced by Qwixskinz. The mid-layer of our AirTek technology allows the FIS-Approved air flow & all race suits have the FIS required label. 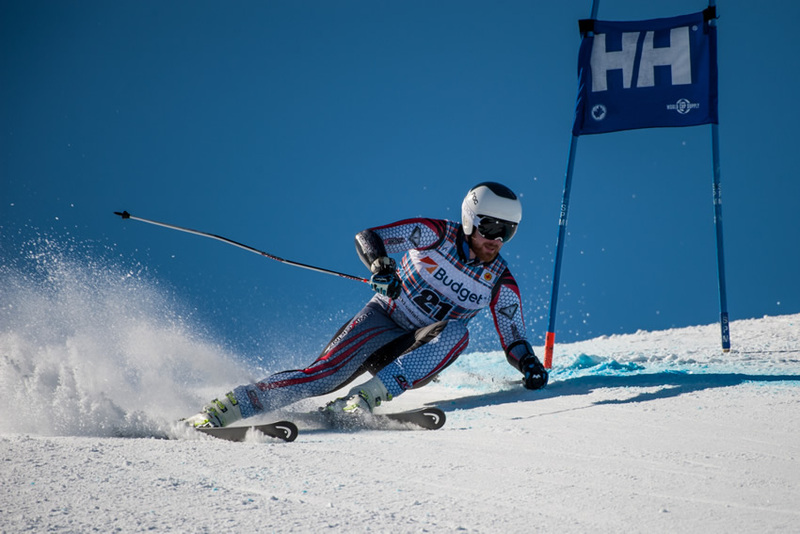 Using the same high quality, aerodynamic AirTek fabric exclusive to QwixSkinz as our FIS rated race suit, our Non-FIS rated DH race suit allows for an added layer of comfort the reduced air permeability allows. Our mid-layer of our non-FIS approved suits offers the added wind & water protection to it’s aerodynamic attributes. When a FIS-rating is not required, our Qwixskinz DH Non-FIS race suit delivers the same high quality our athletes expect. 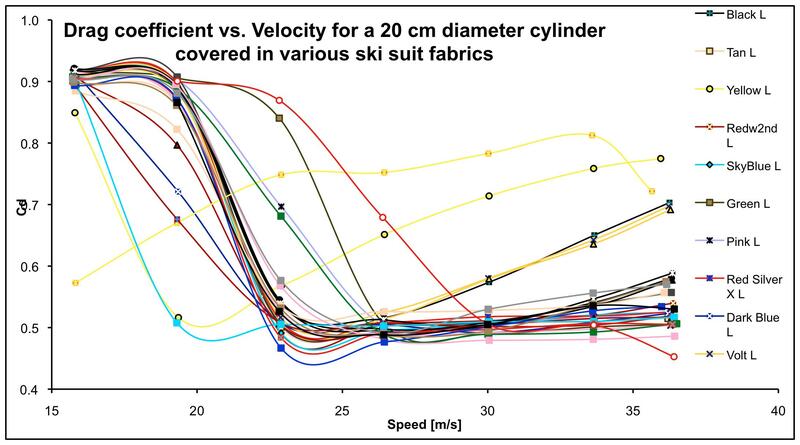 Our 3D pattern technology provides the superior quality of fit to the DH Non-FIS race suit. The youth racer has the benefit of the same Qwixskinz quality that the adult DH suits provide. With the FIS-rating not being required we can concentrate on the other performance components of our youth race suit. The superior abrasion resistant top layer of our exclusive AirTek line of fabrics is especially important for the younger racers. The mid-layer provides the wind & water protection & with the inner fabric layer specifically designed to provide added warmth, keeping the young racers happier on the hill. 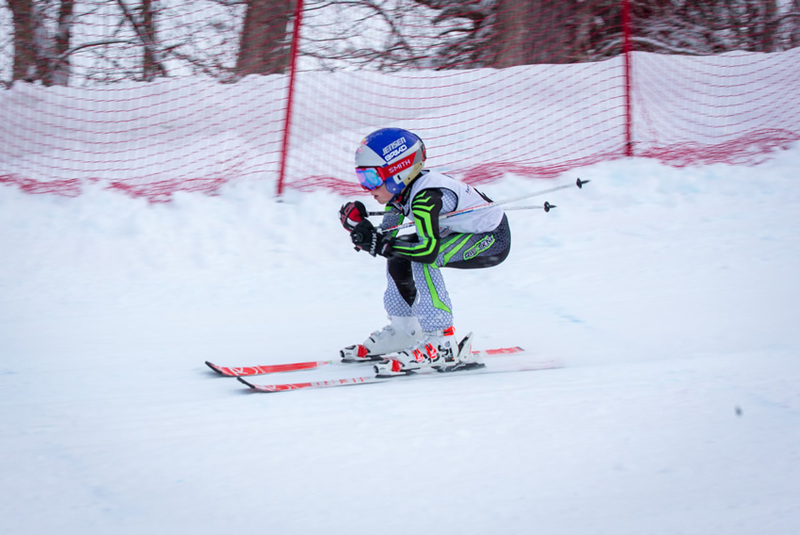 Our Youth Downhill (DH) Race Suit can be an option when padding is not required. 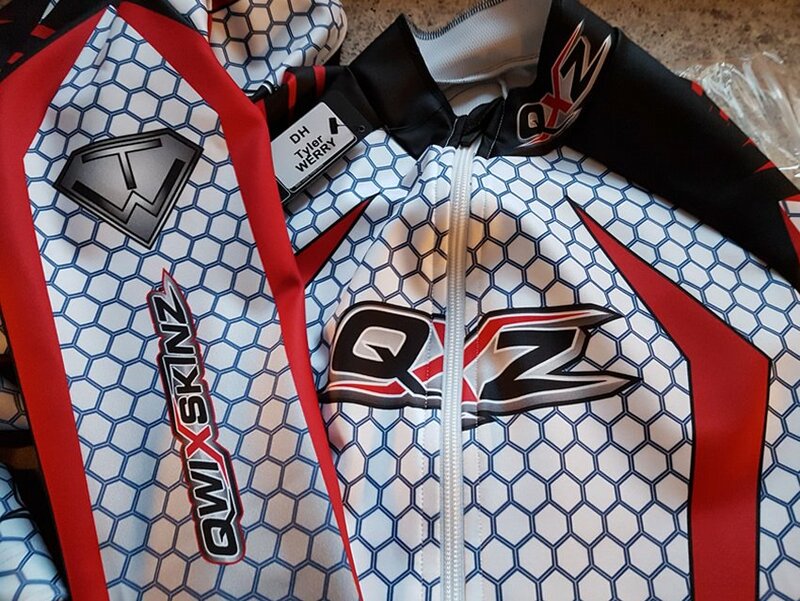 All details have been fully considered to take the Qwixskinz name from the World Cup circuit to the club race suit slopes. 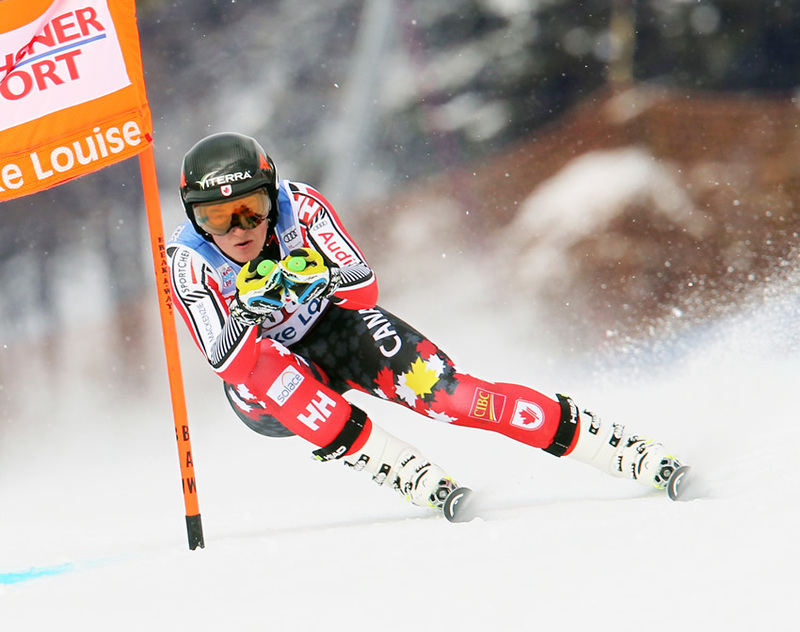 The Qwixskinz Padded Giant Slalom (GS) race suits is a superior ski club suit option. 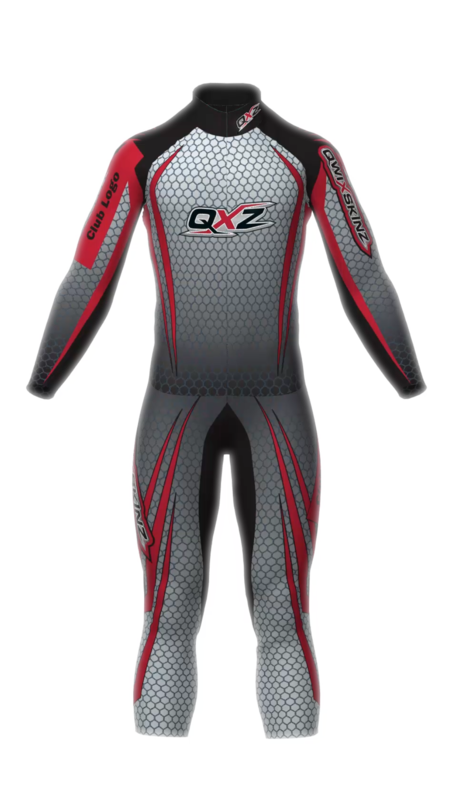 Our AirTek 3 layer fabric system, developed for & exclusive only to Qwixskinz will have the look & performance rivaling our World Cup race suits. An abrasion resistant top layer of fabric gives the best protection against pilling or deterioration of the fabric surface even when hitting the gates. Our GS race suits have also benefited from our new 3D pattern technology, taking our race position fit to a new level we feel ski club racers deserve.Silicone gripper elastic at the leg edge keep the suit leg in place. Durable YYK zippers & fabric zipper flaps give wind protection in the cold. Strategically placed GS padding uses a composite foam specifically developed for the Qwixskinz ski club collection. 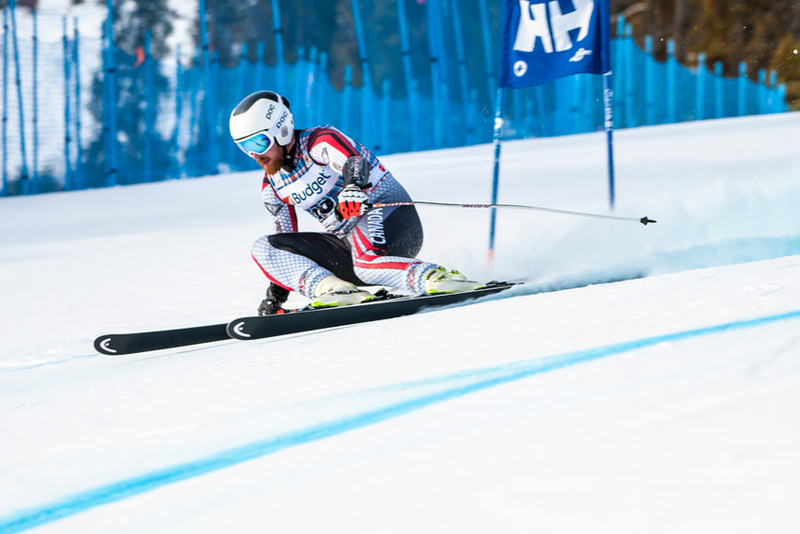 Our Adult Giant Slalom (GS-Padded) FIS-Approved race suit provides the Qwixskinsz quality the pros rely one. Our mid-layer in our exclusive AirTek fabric allows for the FIS approved air flow & all suits have the required FIS label. 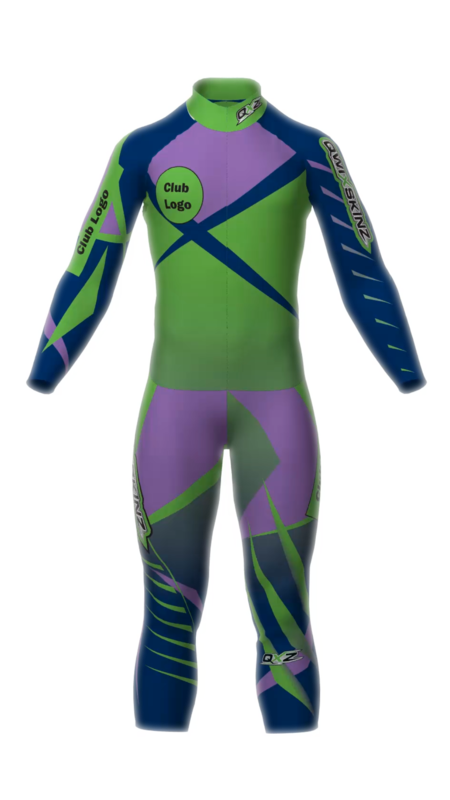 Qwixskinz is offering Non-FIS rated Adult Padded GS race suits as a ski club, development & university suit option. The mid-layer of our non-FIS rated suits offers the added comfort of wind & water protection to it’s attributes. The superior abrasion resistant top layer of our exclusive AirTek fabric has been developed to withstand the wear & tear GS racing throws at a race suit. Strategically placed, articulated GS padding uses a composite foam specifically developed for the Qwixskinz ski club collection. 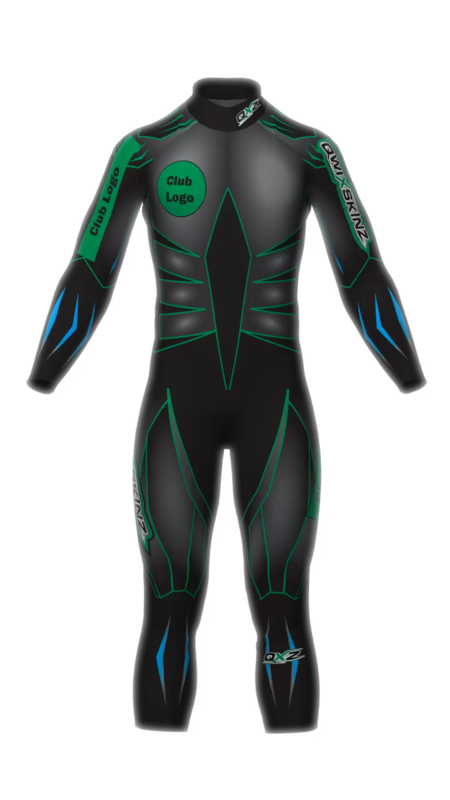 The youth racer has the benefit of the same Qwixskinz quality that the adult suits provide. The mid-layer provides the wind & water protection & with the inner fabric layer specifically designed to provide added warmth, the young racers will be kept happier on the hill. Our exclusive AirTek fabric developed for this category of race suit has been specifically designed for the challenges of youth GS racing. A simplified padding system allows for a more uniform protection for the smaller racer. The same aerodynamic concept & science behind those worn by World Champion & World Cup winners is available in our Qwixskinz FIS approved 2ndSKINZ. Our technical fabric combines with your race suit air permeability to increase the aerodynamic features & decrease your aerodynamic drag. Strategic flat seaming & edges allow for the perfect fit under your race suit. It’s like a second skin…only better. When air permeability ratings are not a consideration, our Qwixskinz ThermoSKINZ keeps you warm so you can concentrate on your run. With just the right amount of thickness, it doesn’t add bulk while providing wind & moisture protection. For training runs on those cold winter days or race days for the youth skier who doesn’t need FIS rated suits. Our ThermoSKINZ fabric’s soft fleeced inside layer is comfortable against your skin while the middle membrane provides long lasting wind & moisture protection. A must for the warm up and training runs. The Qwixskinz Alpine Warm-Up short has been preferred by our WC teams that have tried the alternatives. High quality, articulated short panels that allow for club/team customization on the Left Leg side panel with custom printed colour & logo. Also available in our standard Qwixskinz design for individual orders. Adjustable suspenders for the perfect fit that won’t ride down. -Lower back comfort panel to keep the warmth in & the cold air out. Abrasion resistant fabric with just the right amount of stretch for ease of movement. Fleece backed for added warmth on the warm up runs. Dye sublimated side panels in the same abrasion resistant fabric that keeps colours vibrant & new looking longer. Dual leg zippers with zipper flaps for wind protection. 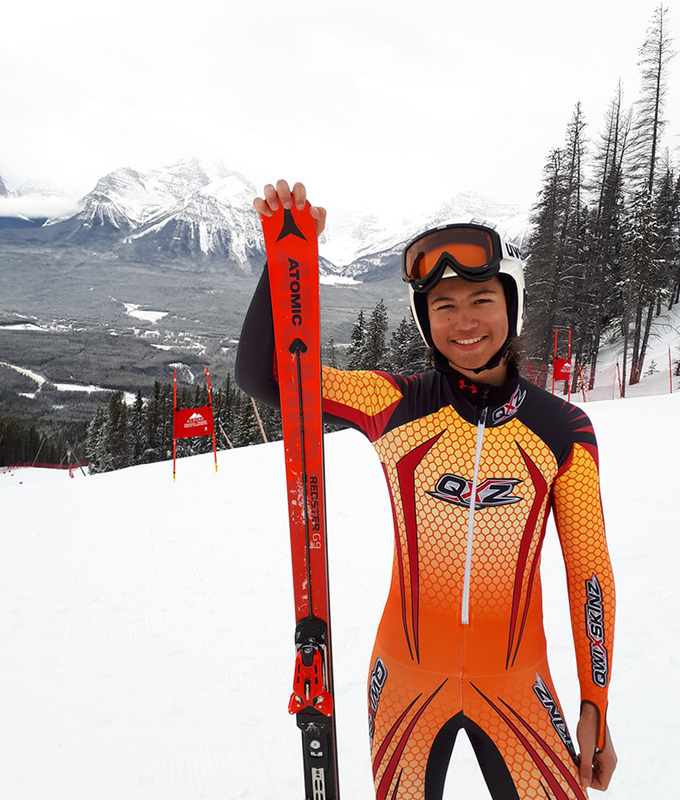 Qwixskinz has developed our Alpine Ski Club race suit line with an exclusive AirTek fabric line that provides superior performance both in aerodynamics and performance as well as the durability required in all stages of development ski racing.